Annora is a village pub, B&B, and café, proving an excellent service for locals, returning visitors and tourists alike. Feedback from customers constantly proves that Annora is a welcoming, vibrant and versatile hostelry. The pub and B&B are open all year round, with the cafe opening from Easter until Halloween. Annora is situated beside a magnificent Blue Flag Beach, which is overlooked from a wonderful view point featured on the Wild Atlantic Way. The golden sandy beach is almost two miles long and is a huge attraction. It provides a safe place for all sorts of water sports. Off-­season, it’s a wonderful place to “clear your head”!! Obviously any activity on the beach should be followed by an excellent pint of Guinness or a hot toddy in front of a glowing fire in Annora. Within a 5 mile radius, there are many other beautiful beaches to explore and enjoy. Annora is a great base from which to visit wonderful places like Glenveigh National Park, Slieve League, Glencolmkille or Mount Errigal. 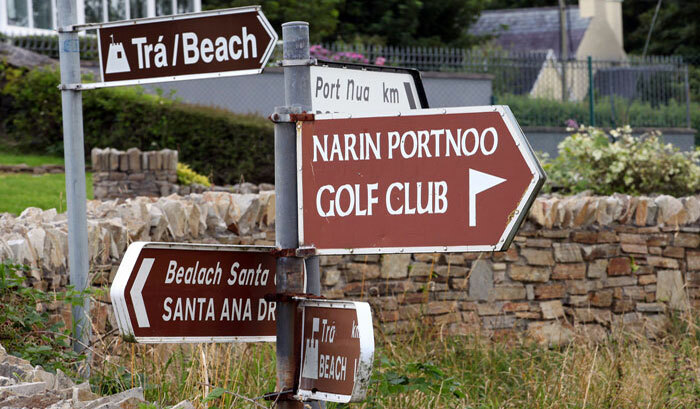 Only yards away from Annora is the acclaimed Narin/Portnoo 18 hole golf course. 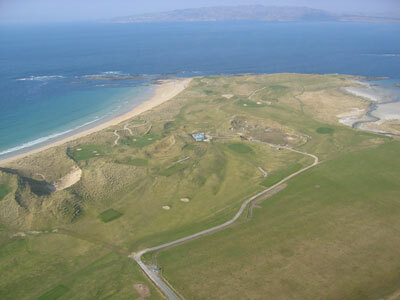 This challenging links course enjoys spectacular beach views. It is well utilised by local golfers, golf clubs throughout Ireland and attracts visitors from all over the world. Annora prides itself on providing superb music in all genres. During the summer season there’s music at least five nights a week, with one night being devoted to genuine Irish traditional music. Annora has a resident musician who is renowned for his stringed instrument playing – ­ banjo, fiddle and mandolin. All musicians and singers who visit Annora are warmly welcomed and many music sessions ­ of all types ­ have started because some­one just dropped in! The quality of music in Annora has been recognised by the receipt of several Traditional Pub of the Year Awards. People come to Narin for many reasons -­ maybe it’s the abundance of archaeological sites (e.g. Doon Fort or the Dolman at Kilclooney) or – the unique geology or – to fish ­river, lough, shore and deep ­sea fishing are all available. Other popular activities include, playing an excellent 18 hole pitch and putt course, pony trekking, cycling and walking. These activities are suitable for all abilities and age groups. Romance is definitely high profile in Narin, given the number of people who come here to “pop the question” or get married! Contact us about our special golfing packages.